You might be familiar with penny tile designs from a shower stall floor where their unique coin shape gives wet surfaces a better grip. They are 3/4 to 1 inch across and laid on a mesh grid in various designs. They can come in penny round, hex, or square patterns. During the early 20th century, penny tiles were a popular choice, with hex beating out round shapes in preference. Penny tiles came in ceramic, glass, or porcelain back in those days, but now you can get penny tiles in metal and even fine marble. It's for this very reason that penny tiles are considered a vintage style that is coming back into favor as a new modern look. New techniques, like waterjet cutting, new materials, and new designs have thrust penny tile designs back into the limelight with new spectacular looks that are bound to please a larger audience. I've collected a few designs here that can help inspire you to take another look at penny tiles as a modern choice for today. Ceramic and porcelain penny tiles get their name from the fact that they are shaped in coin-like pieces. They used to come in standard white or other basic colors. However, have you ever seen a tile with actual copper-like penny tiles on the floor? Take a look at this one and see how just adding a metallic finish instantly revamps the look from vintage to modern. In fact, you can get penny rounds now in not only shiny copper finishes, but you can even find silver and golden metallic finishes too. Some can even have actual metal caps or be made entirely of metal. 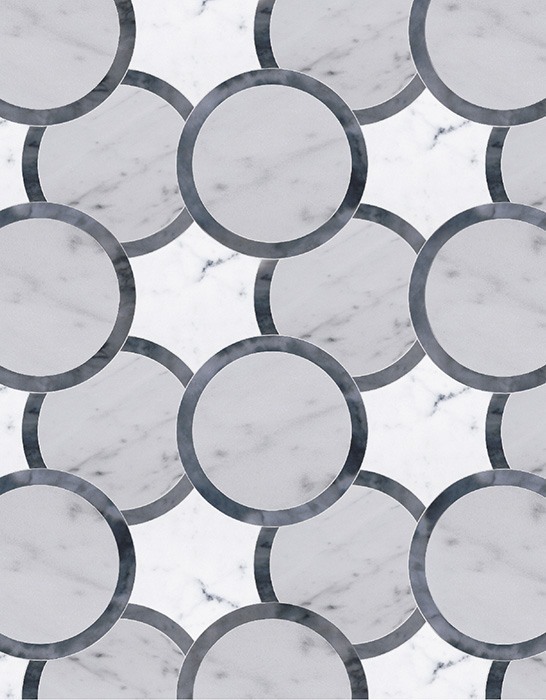 Hex penny tiles are still as popular as ever, and never lost their appeal like the round shapes. 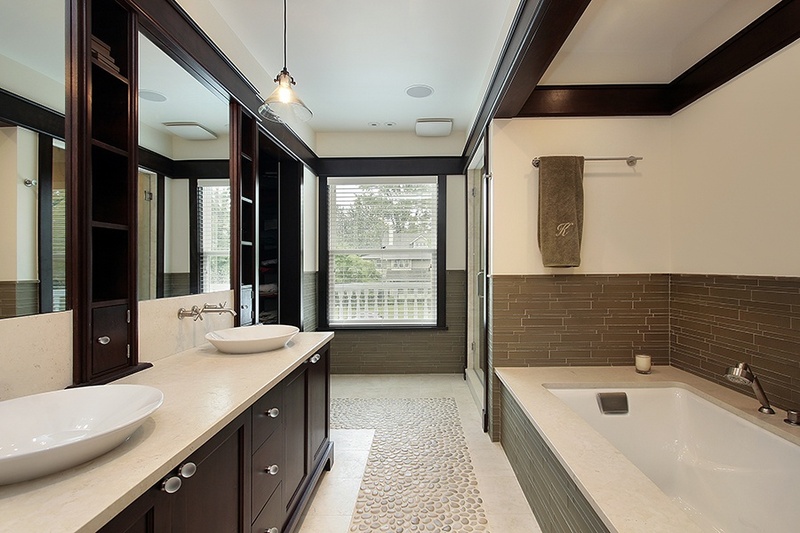 Yet, even these can be upgraded for modern tastes by using luxury materials, like different stones, including marble. 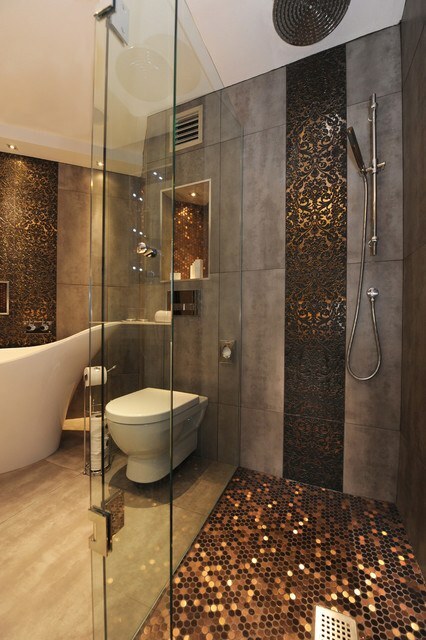 Stone mosaics are ideal for designs with penny tiles because they mix luxury with timeless style. 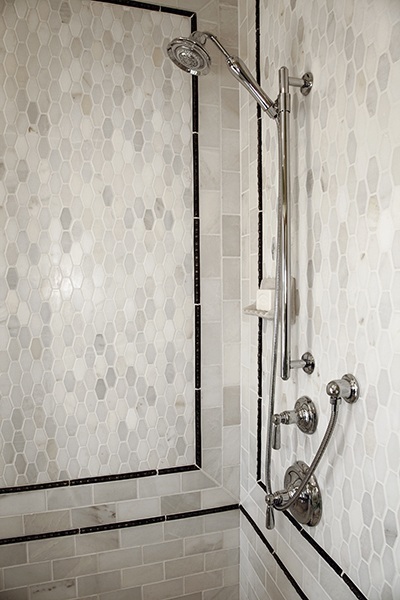 This penny tile design in a hex pattern using Calacatta blanch stone mosaics is breathtaking and about as modern as you can get. 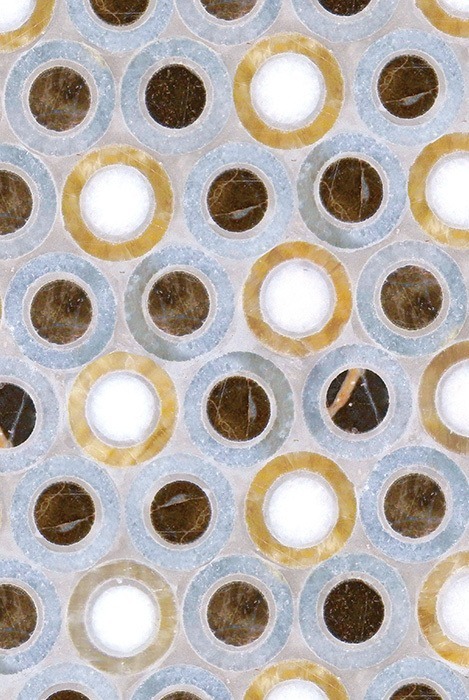 It evokes the look and feel of a penny tile with more than one size penny round in different stone "coins." If you want your rounds to all be the same size, but add a curved border to them, that's also possible with the Fitan design in the Curv collection. How about overlapping penny rounds with dark borders? This design almost has a dimensional feel because of the way it fools the eye. 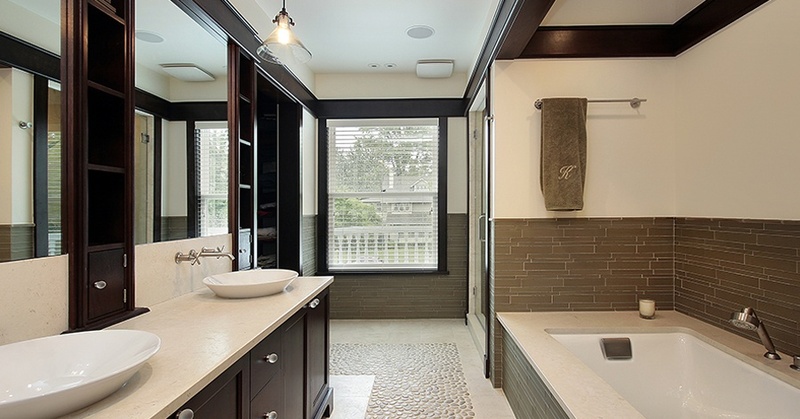 Don't just think of penny tiles as flat ceramic pieces of tile put in a grid pattern. 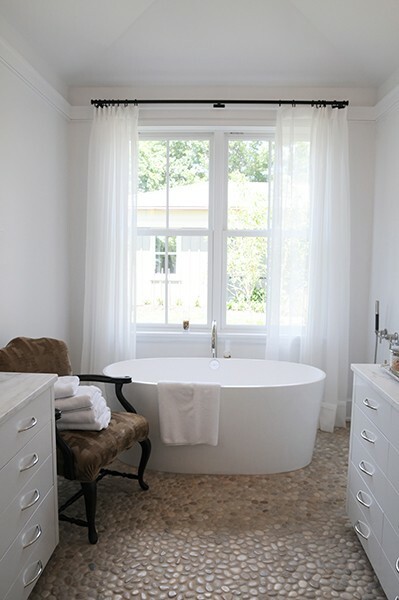 A pebble floor mosaic, for instance, can give the look of a penny tile in an earth-friendly style that is popular today. They may not be ceramic or even futuristic, like metal coins, but they still have a modern edge because of today's emphasis on natural and earth-friendly design. In fact, you can even use cork coins to make the penny round tile have a sustainable and interesting new modern take on the penny round tile designs of the past. This YouTube video shows how cork penny rounds can be installed and stained to create unique modern designs in the home. If you're looking for a material more durable than cork, but still sustainable, here are two examples of a pebble floor that look like an upgraded version of the penny round tiles in natural materials. These even have a dimensional feel, which is a popular modern aesthetic. Or, they can have different colors and even make a checkerboard design. After seeing how penny tiles have evolved, it's not surprising to learn they are coming back in style even stronger than ever. 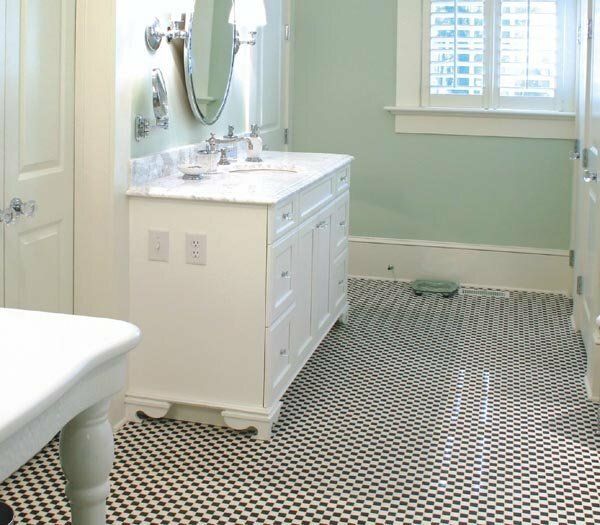 Penny tiles in the bathroom were always an ideal choice for their ability to create a non-slip surface with durable tile designs. 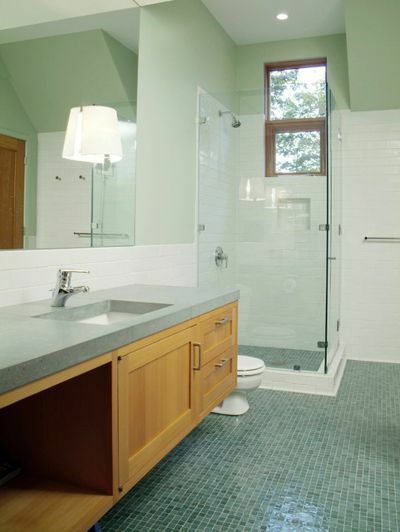 However, consumers have plenty more choices than the simple white round tile of the past. They can opt for hex or square penny tiles. They can create new designs with startling modern materials like glass, metal, and marble. There are even sustainable choices like natural pebbles and cork tile designs that look like penny tile coins. Penny tiles can even be created to be bordered and have a dimensional tile look using waterjet technologies that weren't available in the past. 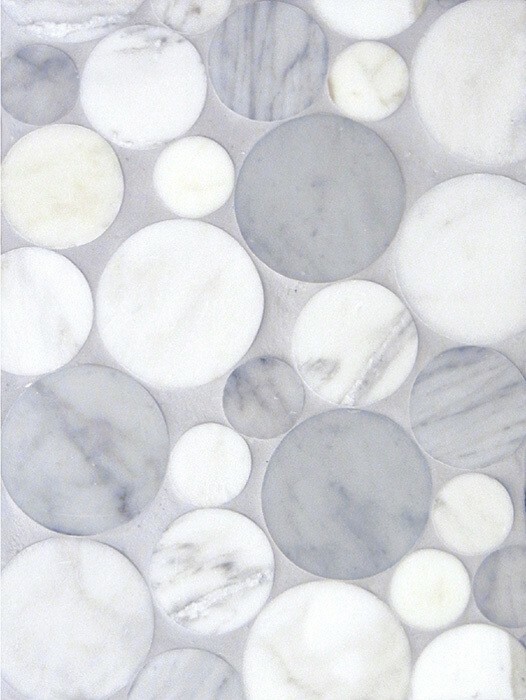 Penny tiles can be used both in floor and wall designs and produce strikingly visual designs with a sense of order. They are striking on bar and furniture designs as well. If you have any questions about how to use penny tiles in your next design project, just comment below.